Polemistis is the first CrossFit gym in Gonzales, TX and we could not be more grateful for the overwhelming amount of support we have received from the community and surrounding towns. Just celebrating our one-year anniversary in June 2015, we could not be happier with the success and growth of our CrossFit family! At Polemistis CrossFit, we also offer a full 24-hour gym, tanning beds, massage therapy, and childcare! At Polemistis, we can help with weight loss, muscle strength, athletic technique, and performance. 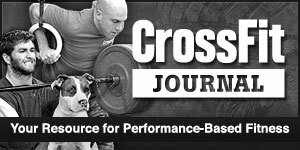 Through a systematically designed approach periodized training to cover all aspects of CrossFit, from gymnastics, weightlifting, and metabolic conditioning. 15% discount for military, police, firefighters, ems, and school teachers. 2017 Central Texas Friday Night Throwdown was a SUCCESS!